Make old styles new again with these vintage patterns from Simplicity, EvaDress, and Decades of Style. This time of year is perfect for refreshing your wardrobe with new styles, why not venture into the past and create something retro? Simplicity’s Winter/Holiday 2016/17 collection makes vintage designs that are still trendy. 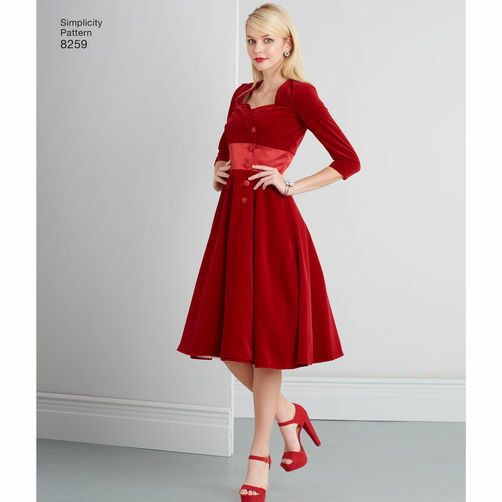 Be a modern woman with a fabulous classic, vintage style this winter. Note: Some patterns may sold out at Simplicity’s website but can be purchased through various online retailers. 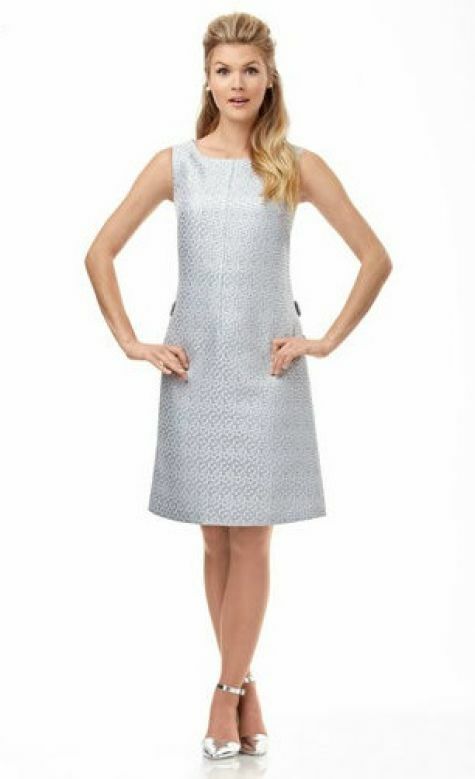 With a tailored front that includes buttons and hook closures, this festive dress is modest and fun at the same time. This pattern is flattering on numerous body types, with its fit-and-flare style. Suggested fabrics include brocade, chintz, cotton types, crepe back satin, dupioni, shantung, faille, gabardine, pique, satin, taffeta, tweed, and velvet. This full-skirted dress with fitted waist and lace overdress is perfect for any holiday parties you’re planning to attend in December. This pattern features a 20-inch zipper closure at center back. 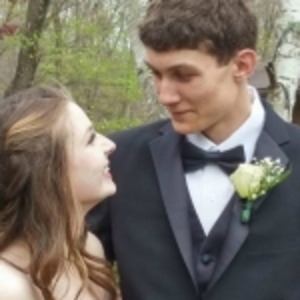 It also has a flattering square neckline that frames the face. Cotton types, crepe, crepe back satin, faille, satin, and taffeta are recommended fabrics for this dress. Double-edged lace, or galloon, should be used to create the lacy overdress. If you like layering, this dress design is a perfect choice. Simply pair it with a turtleneck, a collared button-up shirt, tights, or leggings, and you instantly have a classic outfit. It is easy to dress this pattern up or down, depending on the look you want. There are multiple options for the fabrics you can use to create this design. Consider medium-weight materials like brocade, corduroy, denim, leather-like fabrics, linen types, microsuede, piqué, poplin, sateen, tweed, twill, velveteen, wool types, double knit, fleece and ponte. EvaDress has numerous vintage styles that have made a comeback. Don’t be shy about wearing something different this holiday season. Here’s one to try. Be practical while looking stylish. 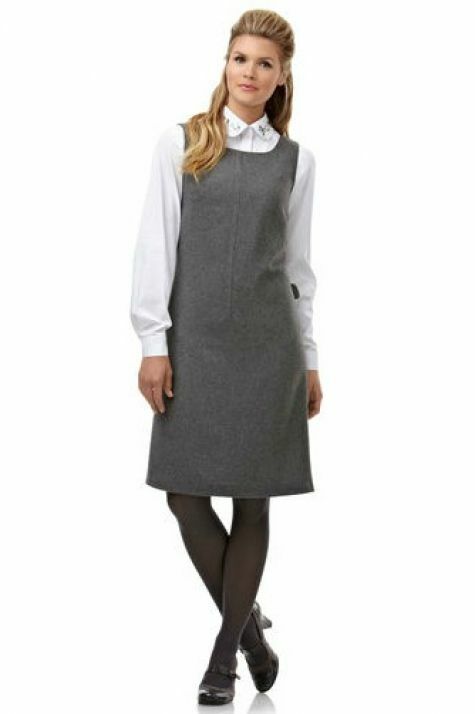 Derived from a McCall’s pattern, this simple yet comfortable dress is striking. 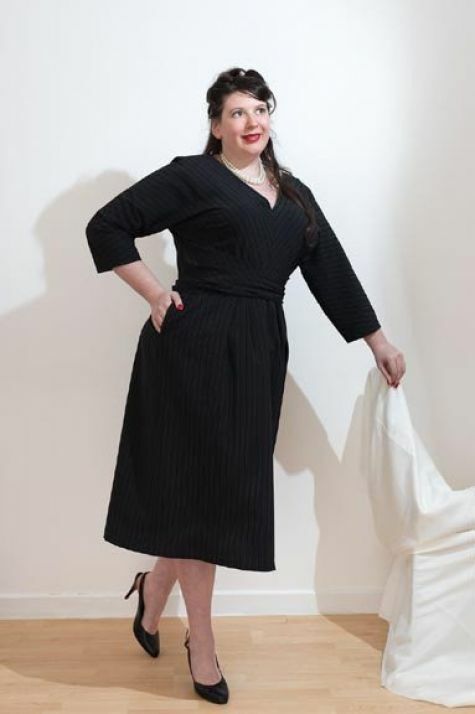 It features a 12-inch placket zipper closure at the back of the dress and a timeless wraparound style that compliments any body type. Faille, printed silk or cotton, crepe, shantung, polished cotton, peau de soie, wool jersey, silk and worsted are recommended fabrics for this design. This pattern company lives up to its name and offers exactly that: a place where decades of styles come together to see the light of the modern era. This collection of patterns are great for any occasion. This dress is super fun, while staying true to the design’s maturity and age. The pattern features a 12-inch invisible zipper along the side seam and kick pleat at center back. The slit buttoned pockets and pleated inset at the neckline make this dress a standout. You’re sure to receive lots of compliments. Suggested fabrics for this look include linen, shirtings, lightweight wool, and lightweight poplin. 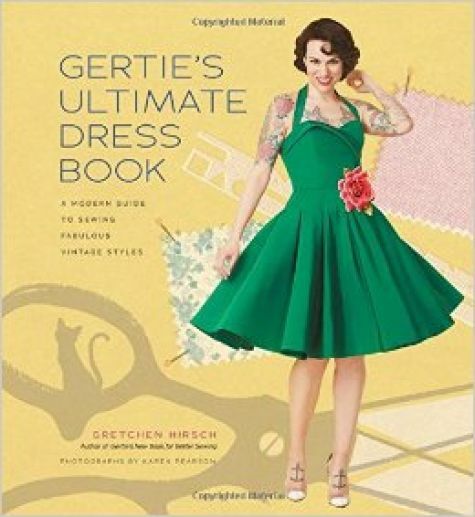 If you are really interested in creating classic styles, Gretchen Hirsch’s Gertie’s Ultimate Dress Book (STC Craft, 2016) may be the perfect gift to give yourself this winter. The book features 23 dress designs, each highly customizable. Gretchen provides the patterns and instructions for each design. She also teaches a range of skills, including dress construction, finishing details, fitting and working with special fabrics in the 236-page hardcover book. If you plan to create one of these or any other festive styles this holiday season, let us know in the comment section below. Also, feel free to include a story of a favorite item you made for yourself or someone else this time of year. Happy holidays. Tickles me to no end to see younguns get nostalgic about the 50's. The newspapers covered the latest Paris fashions every season and I can really remember some doozies (even though I was still in elementary school).The bubble dress is a standout. Really, the 60's were more colorful and more fun! There is nothing better than vintage style. I love it, too bad I was born in 90's. Thanks for sharing this lovely article. I'm designer & love to wear all kinds of dresses from chic to bohemian.